The self assembly of the Desktop Panel couldn't be easier. 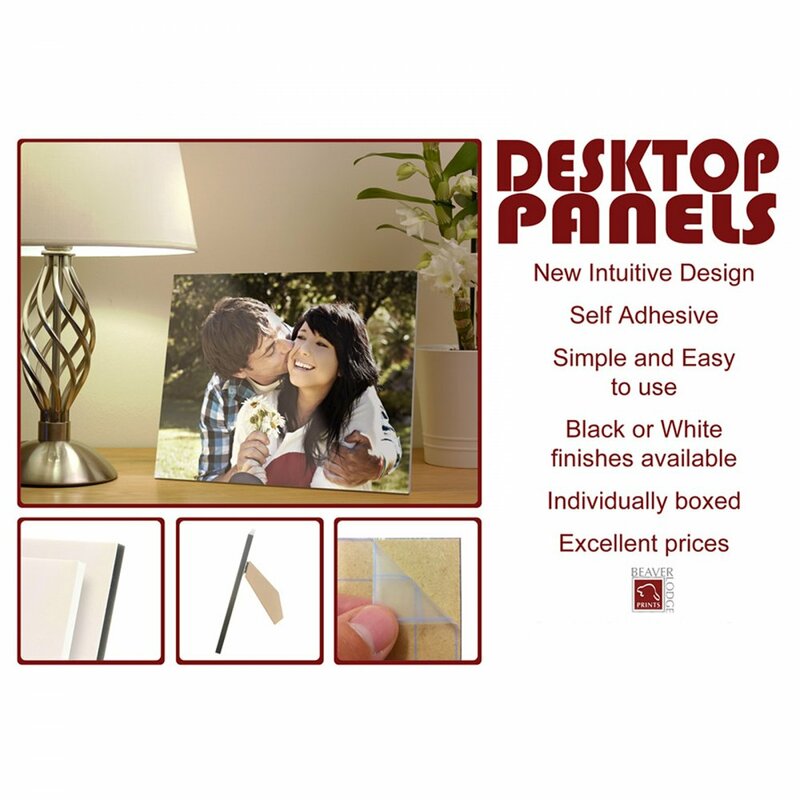 Simply reveal the self adhesive by removing the release liner and stick your photos down. Don't worry if you don't quite align the photo correctly at the start as the adhesive is re-positionable, but once the photo is completely stuck down the bond is permanent.